Seamus Enright was just getting the feel for a new mark when, third cast with a shallow running plug, his rod bent over. Thankfully he had the drag set correctly and the Bass tore line off the reel on several of runs. Eventually the fish tired was taken ashore for a quick photo and measurement 78cm and 12lbs before releasing it to fight another day. 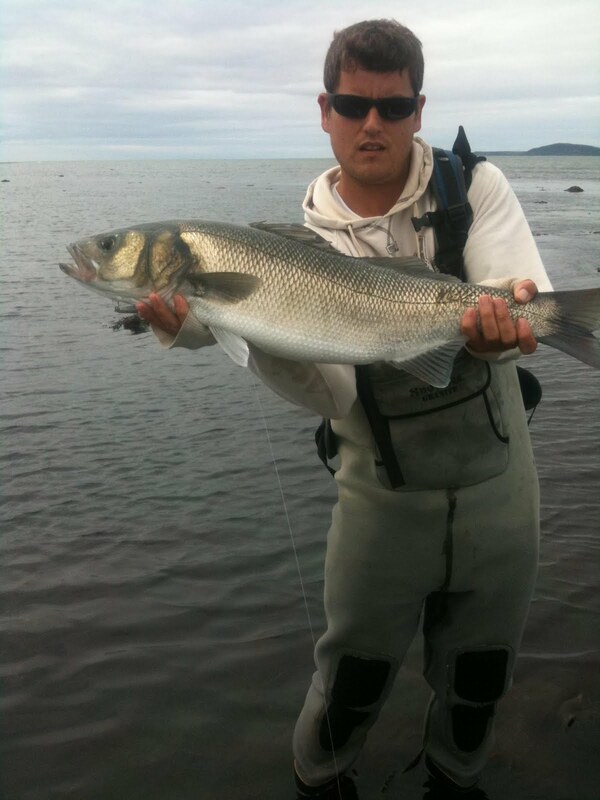 It was his biggest ever bass on his third cast in his new favourite plugging mark! You can vote for this picture to win on Facebook by clicking here and hitting the Like button!